Yay or Nay? 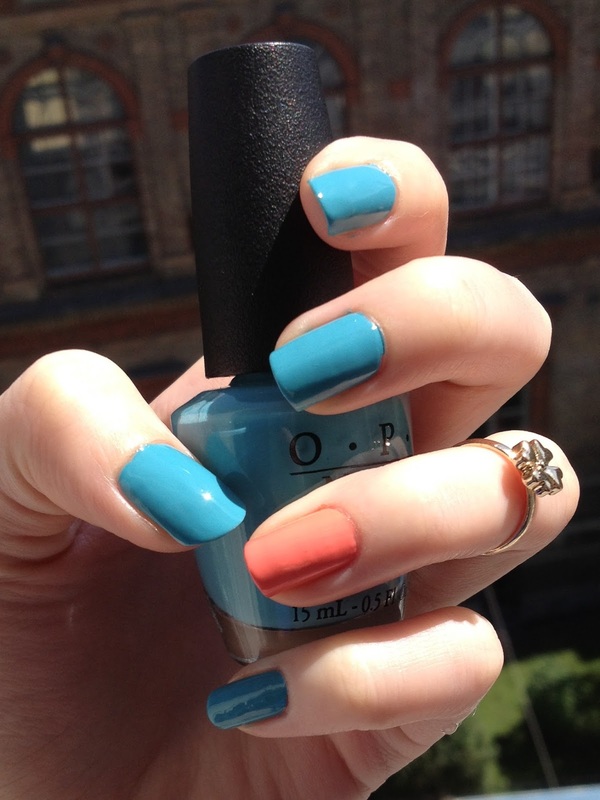 For this week I chose some summery colours : a light blue and a soft peachy orange . The two colours go together incredible well and although I am not a huge fan of orange, for myself. I like softer shades of it. The nail polishes I used are O.P.I. 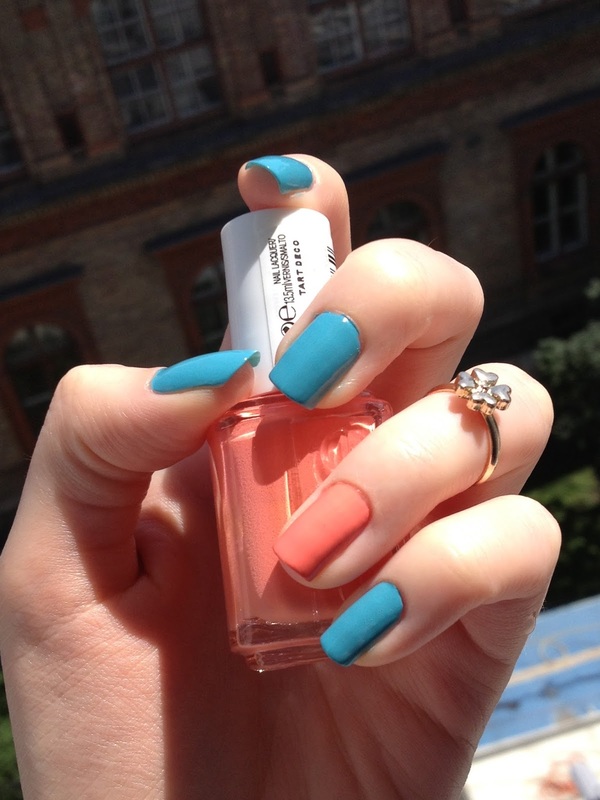 "Can't find my czechbook" from the european collection and essie "Tart Deco". I have been m.i.a. because I had a long birthday weekend and my family came to visit as a surprise. Labels: Beauty, ESSIE, Nail Art, Nail Polish, Nails of the Day, O.P.I.